Empire Aviation Group, through its Empire Aviation San Marino branch, has added two Embraer Legacy 650 business jets as the group continues to build its global fleet. Both Legacy 650s are registered in San Marino and will be managed on behalf of owners for their own private use, as well as being offered to the global charter market. Empire Aviation Group was awarded an Air Operator Certificate (AOC) for aircraft management and charter by the Civil Aviation Authority of the Republic of San Marino, in 2015. The company has additional managed business jets in the registration pipeline. The Embraer Legacy 650 is an extended-range derivative of the Legacy 600 business jet. It can fly up to 3,900 nautical miles (7,223 kilometres) nonstop with four passengers, or 3,840 nautical miles (7,112 kilometres) with eight passengers. The Legacy 650 can fly up to 13 passengers, nonstop, connecting Dubai to major business destinations, including London (UK), Singapore, and Johannesburg (South Africa), for example. The Legacy 650 extended-range is one of the largest executive jets permitted to operate in restricted airports, such as London City (LCY). The San Marino AOC enables Empire Aviation`s registered aircraft to perform worldwide commercial air operations, regardless of the aircraft base. EAG also holds a United Arab Emirates AOC and the company currently manages a fleet of 25 business jets with bases in the UAE, Oman, Nigeria, India and Hong Kong. Paras Dhamecha, Executive Director of Empire Aviation Group, commented: "Our San Marino AOC is proving attractive to the aircraft owners of our increasingly global managed fleet because it gives us more flexibility in the operating solutions we can offer, more convenient locations to base their aircraft, and also includes the option of commercial charters." 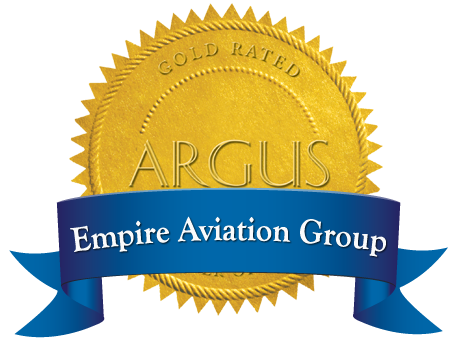 Empire Aviation Group has rapidly expanded its international operations over the last three years, with the group`s first fully fledged overseas branch in Bangalore, India; a dedicated US aircraft sales office in Scottsdale, Arizona, USA; new operations set up in Hong Kong; as well as the San Marino branch.